After travelling for what feels like days, the Global Development Tour 2018 has finally arrived at our first destination – New York! Although jet-lagged, we started off our first full day with a quintessential experience of taking the New York subway with a quick stop at the Grand Central Station. Then we headed to our main morning event which was a tour of the United Nations Headquarters in New York. 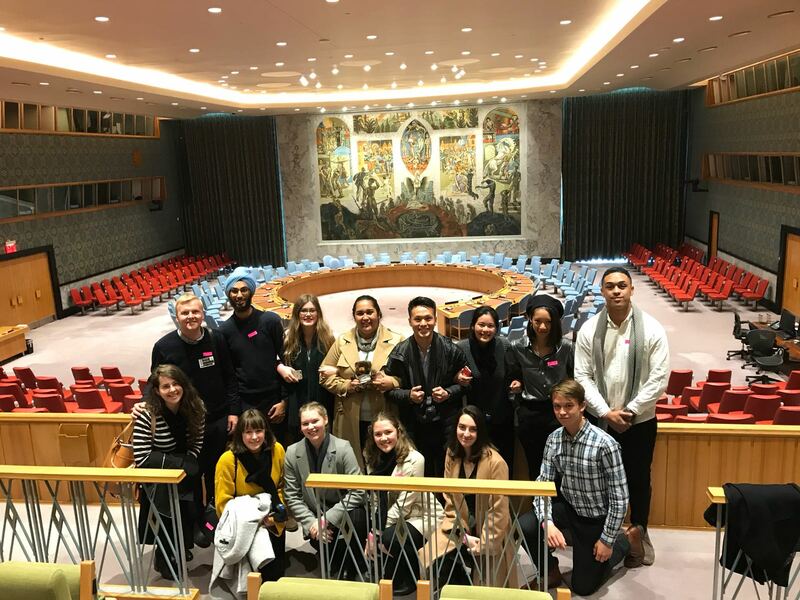 It was impressive to see the Delegates show their knowledge of the structure and pillars of the United Nations through months of planning, studying the 17 Sustainable Development Goals, and learning about current events which might be topical in our planned meetings. An assembly of the Security Council had just ended before our tour of the Committee Chambers at the UN. The Delegates were intrigued by the different duties and roles of the Committees and the timelines of issues dealt by the UN such as the Palestine Issue, Nuclear Disarmament and Decolonisation through the Trusteeship Committee. 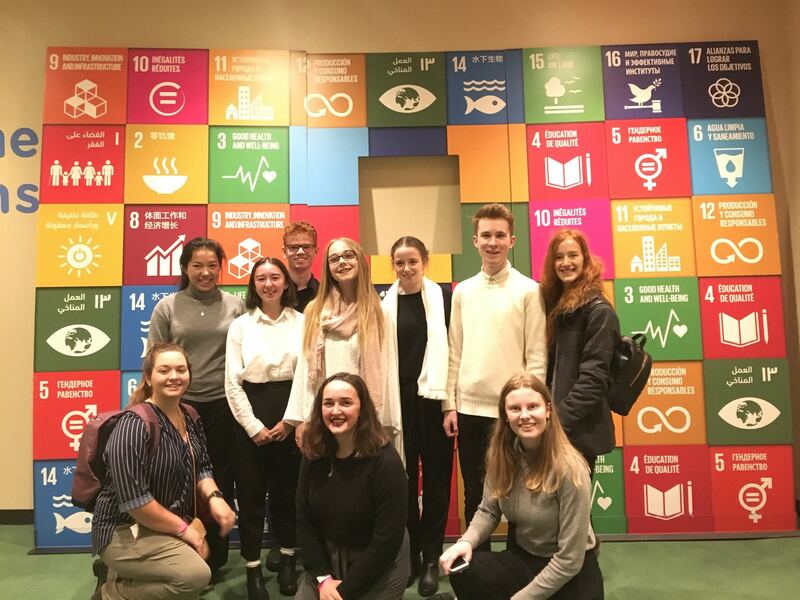 It was also great to see the 17 SDGs displayed at the UN and to hear the Delegates engage with our Tour Guides specifically on the Indicators to be achieved before 2030. This Tour really solidified the educational modules which the Delegates completed throughout the months prior to GDT. Delegates had explored contemporary contentious issues within international and multi-lateral development and the background knowledge showed through. 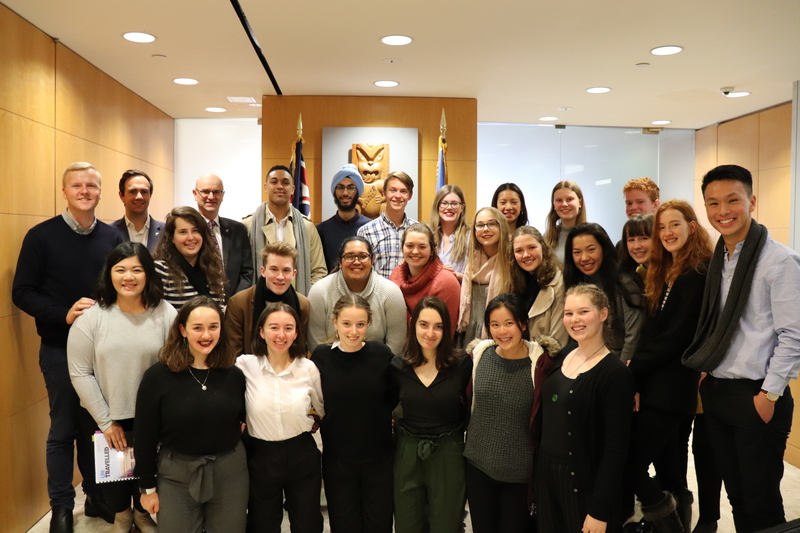 After our Tour, we made our way to our second meeting with the NZ Permanent Mission to the UN.The Delegates were able to meet with the Ambassador and a senior Humanitarian Policy Advisor. The Delegates were well-prepared because we had visited the Ministry of Foreign Affairs and Trade in Wellington a few weeks before departing for GDT. 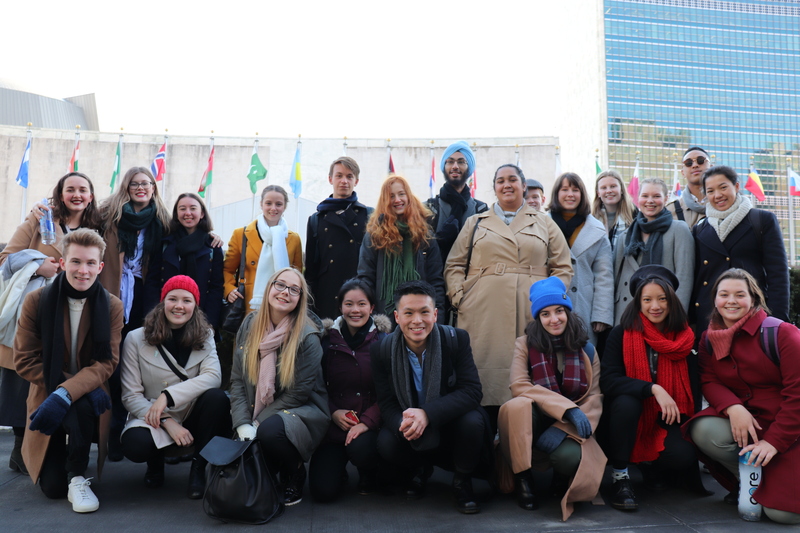 Delegates interested in working in a similar field in the future in New York were able to understand the dynamics between the NZ Permanent Mission to the United Nations located in New York to the policies and mandates back in “Capital” a.k.a. Wellington. Key learnings which the Delegates found exceptionally helpful were tips, tricks and strategies to negotiate, mediate and draft Resolutions. These skills are sure to be developed and tested in their Columbia University Conference and Exposition beginning in a few days. Finishing off an already packed first day, the Delegation were able to enjoy the cultural highlight of finishing the evening at Broadway.